One day after Rizin Fighting Federation announced that it has signed a contract with boxing legend Manny Pacquiao, its CEO, Nobuyuki Sakakibara, made it clear that this is more like a promotional deal, not a fight contract. 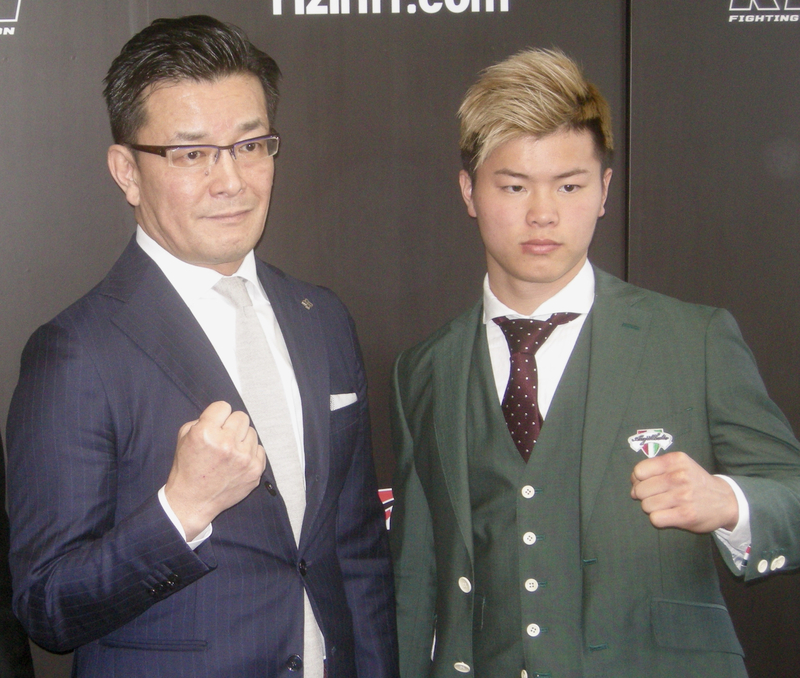 As the first step of the partnership, Rizin will have famous kickboxer Tenshin Nasukawa fight Filipino Fritz Biagtan, who will be in the ring as a “recommended fighter” of Pacquiao, in a kickboxing rules bout on April 21 at Yokohama Arena. Sakakibara, who flew back from the Philippines where he met Pacquiao, said at a news conference on Tuesday that the 40-year-old boxer is scheduled to attend the event and greet Japanese fans from the ring. Sakakibara added that while Rizin would seek the possibility of having the former eight-division boxing world champion compete in the ring in the future, Pacquiao hopes to give his fellow, younger Filipino fighters a chance to contend for bigger promoters like Rizin in the future. Nasukawa, whose name spread around the world after his exhibition bout against another superstar boxer, Floyd Mayweather, in the New Year’s Eve Rizin event last year, did not seem enthusiastic about another big match — to face Pacquiao. 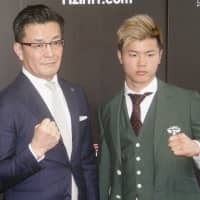 But the 21-year-old Nasukawa said that the Philippines have produced numerous fighters that “are very strong” so he could not afford “to let my guard down” against Biagtan, who competes in Muay Thai, kickboxing and boxing. The 23-year-old is currently the WBC Muay Thai flyweight national champion. If Pacquiao ever competes for Rizin, Sakakibara said that his opponent would be someone closer to his weight, which would be around 70 kg. The CEO mentioned veteran MMA star Takanori Gomi as a potential foe for Pacquiao. “I heard (Gomi) has said, ‘I’d love to fight against Pacquiao,’ ” Sakakibara said in Tokyo. 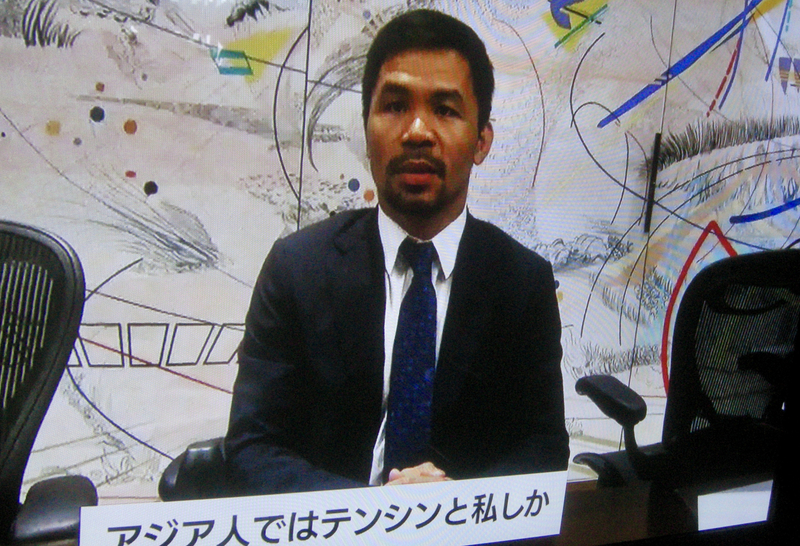 In a video message, Pacquiao said he would like to one day fight in the Rizin ring. 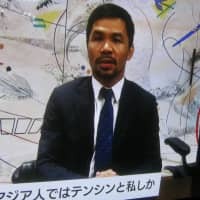 He also made critical comments about the Mayweather-Nasukawa match on his social network platforms because it was staged under rules that were heavily unfair to Nasukawa, who was much lighter than the American boxer and was prohibited from using his kicks. But Pacquiao, who won the WBA welterweight title by defeating Adrien Broner in January, paid the utmost respect to Nasukawa and his fighting spirit. In the video message, he said that he and the Japanese have been the only Asians to ever compete against Mayweather. Meanwhile, Sakakibara said that since the Mayweather-Nasukawa special bout, there have been “inquiries” from other notable fighters from around the world. Sakakibara admitted that Rizin has communicated with former UFC double-division champion Connor McGregor’s management. McGregor recently announced his retirement, but quickly ended it.